Minimize research time and prepare federal trademark registrations in the U.S. Patent and Trademark Office with more than 200 practice-tested ready-to-use forms available in both hard copy and electronically. Step-by-step instructions guide you through client forms, searches and other pre-filing activities, applications for registration, responses to office actions, renewals and more. You can minimize your research time and prepare trademark forms with confidence when you use the Guide to Registering Trademarks as your on-the-spot guide. This carefully constructed loose-leaf offers more than 200 practice-tested ready-to-use forms available in both hard copy and on CD-ROM. 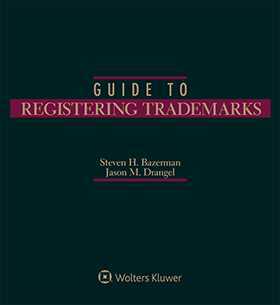 The Guide to Registering Trademarks answers questions running from which form to use in recording an assignment to how to start a concurrent use proceeding. Keep it close at hand to make your trademark application process as painless as possible.